Sam Sanderson is an independent, resourceful, high-tech cheerleader. She dreams of becoming an award-winning journalist like her mother, so she's always looking for articles to publish in her middle-school paper (where she secretly hopes to become chief editor). With a police officer for a father, Sam is in no short supply of writing material. In the third book of the Samantha Sanderson series, when the school's grades were tampered with, Sam must enlist Makayla's help in hacking the system to discover the virus that was used and who committed the crime. But when the lead suspect is her newfound friend, Felicia, Sam must choose whether to stick by her friends at all costs or report the story as she sees it. The Samantha Sanderson series is about an ordinary girl with extraordinary dreams. Each book touches on a crime straight from headlines, from bomb threats to bullying, while following Samantha and her friends as they navigate middle-school and questions of faith. Samantha Sanderson off the Record by Robin Caroll was published by Zondervan in May 2015 and is our 38320th best seller. 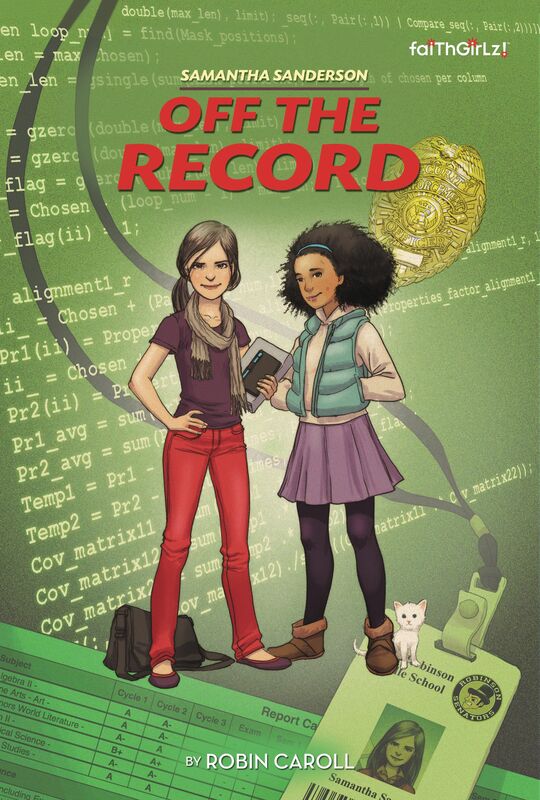 The ISBN for Samantha Sanderson off the Record is 9780310742494. Be the first to review Samantha Sanderson off the Record! Got a question? No problem! Just click here to ask us about Samantha Sanderson off the Record.